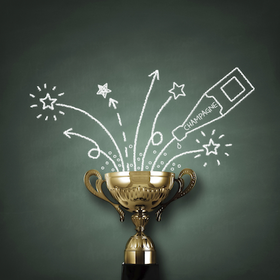 Gamification is a current buzzword in business management. Despite the popularity of the concept, not many managers actually know how and when to use it order to achieve their goals. And gamification can help them in a lot of ways; it motivates and engages people, changes their behaviors, helps to develop specific skills or overcome problems, inspires them to repeat tasks and go that extra mile to achieve more in less time. Gartner predicts that by 2016, gamification will play a vital role in strategies used by retailers and enterprises to leverage customer marketing and loyalty. Because of its versatile character, gamification is useful in both internal and external business relations. Here’s a short guide to gamified strategies for business. Making a set of activities look like a game, managers can fight against boredom associated with repeating certain tasks and spice up the office life. Rewarding players with points, badges and levels, as well as publishing the list of best players on special leader boards is aimed at one thing: waking up that competitive instinct that all humans share, which provides us with an incentive for action. It’s safe to say that games feature an element of risk. That’s why before applying gamification to an enterprise department or team, managers should always consult with trained coaches or have a specialized company design gamified strategies for them. Managers should also be aware that gamification requires careful handling. If badly designed or poorly conducted, games can have a disastrous impact on the internal atmosphere of a company. And this actually happens; Gartner predicted that by 2014 over 80% of gamified processes would fail due poor design or inefficient rules. When applying gamified strategies to corporate environments, managers should make sure that the process of progress tracking is transparent, talented employees are recognized and justly awarded and feedback is always provided in real-time. Here are examples of crucial areas that benefit most from gamification with actionable tips on how to easily introduce some gamified strategies right now. Team managers can use gamification to help their teams regain focus, maintain a defined process of project development, as well as foster motivation and engagement among employees. By giving out objective rewards and setting a leader board, employees will feel motivated to achieve more in shorter time. Gamification is useful for engaging and sourcing talent as well; think events like Google Code Jam or Facebook Hacker Cup. They not only served those companies to detect real talents, but also made them way more attractive as employers, acting like a talent magnet. Gamification helps to quicken the process of candidate elimination, test specific skills, construct certain environments and check candidates’ professional approach, problem solving capabilities and potential for applying knowledge gained in training. Gamification is definitely a great technique for spicing up the routine office activities. Whether it’s recruitment or project development, motivation and engagement are crucial for making the most from every minute spent on completing tasks.